Erica Roberts is a decorated executive and certified “possibilities” coach with an enthusiasm for discovering and realizing potential for others, specifically pertaining to career success and entrepreneurship. During her career as a federal government executive, she amassed an acclaimed portfolio of organizational development solutions. Erica is known for driving results, and is heralded for transforming the organizational culture and practices of government agencies, such as the U.S. Department of Labor. Committed to expanding her impact beyond federal work, Erica repurposed her expertise in reengineering and course/training design to afford extraordinary people with opportunities to explore new possibilities. In 2016, she founded X Is Possible LLC – a personal growth and development consultancy – brazenly sharing her experiences and approaches to career advancement and change, educational success and generational wealth building. Through X Is Possible, Erica draws upon 15 years of experience leading change, developing people, and delivering results to guide a budding community of individuals toward overcoming self-imposed limitations. 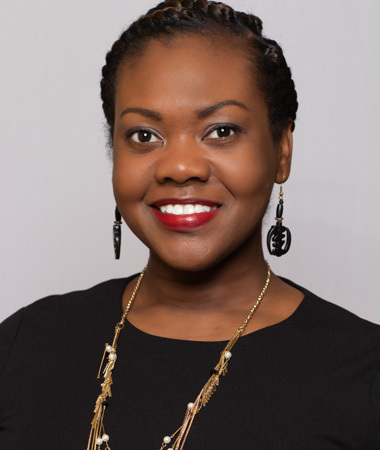 Erica is a Certified Professional and Executive Coach and earned a Master of Business Administration and a Bachelor of Science in Management from Florida A & M University. She is also active in several professional and community organizations, including the National Black MBA Association® (President, Washington DC Chapter), African-American Federal Executive Association, Project Management Institute, and Delta Sigma Theta Sorority, Inc.